The first rule of motorsport is: don’t hit your teammate. Whatever else you do, no matter how much you loathe that whiny little git and think their haircut, lifestyle, shoe size and postcode are crass offences against the sport you cannot hit them. Even if you’re running side-by-side and you know you’re faster than them and they won’t get out the way. Even if they’re a pay driver rookie hated by everyone including and especially their own mechanics. No hitting your teammate, it’s the absolute rules. Formula E has a problem with this. Not because every driver despises their teammate and wishes them nothing but ill - quite the opposite, in fact. You’d be fairly hard-placed to find any teammates who don’t get on in Formula E, where the racing is close enough that your biggest rival is more likely to be a couple of garage-tents over and in some cases, might be one of your best friends anyway. If you missed the race; BMW Andretti was leading a one-two that looked impossible for the rest of the pack to catch up with. Having taken advantage of a bit of turn one chaos, they’d moved from fourth and sixth to second and third and then into the lead by a clear margin. That is until it all went a bit wrong because, you guessed it, they hit each other. Alexander Sims recovered to fourth but race leader Antonio Felix da Costa was out, in the barrier, and the whole race was disastrously neutralised with a safety car that prevented Sims making a redemption move for a podium. A complete mess, from a clear triumph. There’s no enmity between the pair - they hugged it out as soon as they got back to the garage - but they still totally screwed up their races. And it’s not like this is a new thing; last season teammates collided four times: Edoardo Mortara and Maro Engel hit each other in Marrakech, Jean-Eric Vergne and Andre Lotterer ground up against the edge of disaster in Santiago, Luca Filippi clonked Oliver Turvey in Rome and even the normally peaceful Lucas di Grassi and Daniel Abt nearly took each other out at the teams’ title-deciding race in New York. While occasionally collisions have definitely been a by-product of tensions, like in Paris during Season 2 where a squish between Sam Bird and then-teammate Vergne moved the normally stoic Brit to call Jean-Eric a “mobile chicane”, in general there’s no bad blood between them and certainly not against the teams, so why does it seem so irresistible? Is all the battery heat just suddenly taking over for a moment of unstoppable rage? Do they forget the car with the same livery as them is still actually another car they can’t drive through? But “it’s just a thing” doesn’t seem like a plausible explanation for teams losing so many points so often on such a lot of teammate spats. So what throws them together? 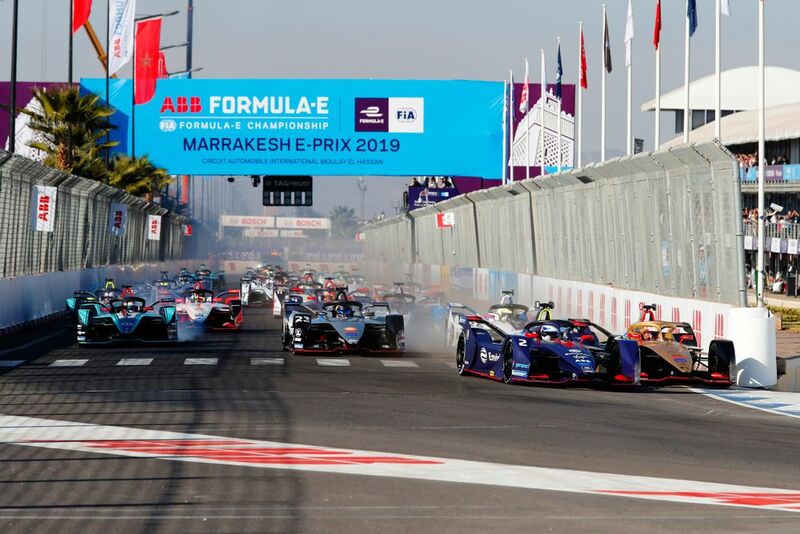 The answer is annoyingly simple; Formula E is a close racing series, with the cars literally up against each other a lot of the time - contact, statistically, is really likely. Maybe moreso than in any other single-seater series, as street tracks push cars into tight corners. 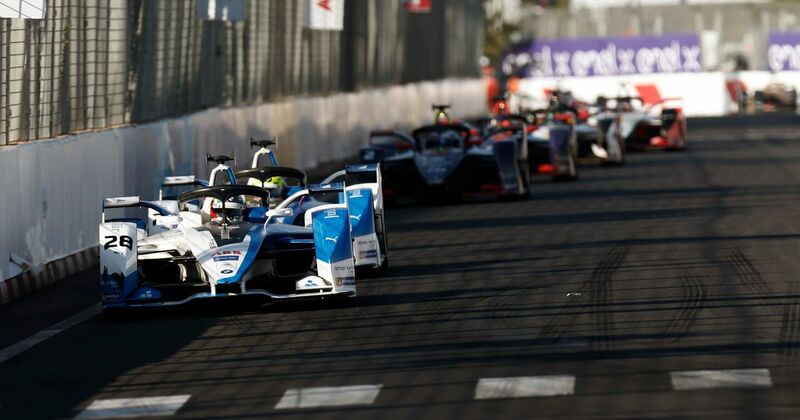 There’s then the fact that it’s relatively rare to get substantial performance gaps between teammates in Formula E. The grid is packed full of absurdly talented racers and so unless you end up with a situation like last year’s Virgin team, where Sam Bird’s experience was the only way he was able to exploit a tricky car that left rookie Alex Lynn struggling, or one of you makes a big mistake in qualifying, like Techeetah in Marrakech, then you’re likely to be near each other. Then you’ve got similarly set-up cars. 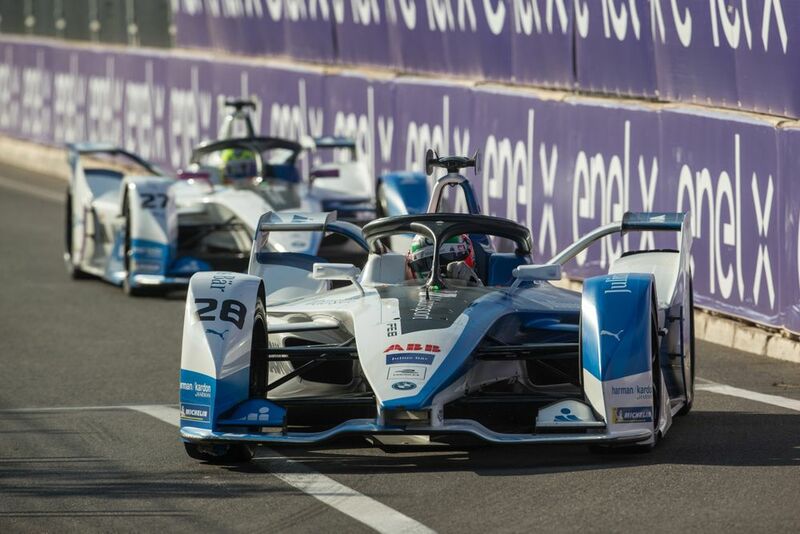 In Formula E, certain crucial elements like the steering differential are set in perpetuity after pre-season testing is over. So whether you get it right or muck it up, you’re stuck with it - and so is your teammate. Especially if the car, as was true of Andretti in Season 3, is enough of a dog that a clever caption could probably turn it into an internet meme sensation then you’re likely to essentially only have one way of driving it. So you’re next to your teammate and trying to take the same line; welp. Until this year, of course, there was a way for teams to break up drivers who’d got too close to each other before they did anything stupid, in the pit stop. Like in Formula 1, you wouldn’t have the cars coming in at the same time and so they’d end up getting back to the track at least a little away from each other. Now though, we’ve got all of those factors - the close racing, the tight circuits, the potentially similar lines between yourself and your teammate and it’s a flat-out race to the finish without any reason to enter the pits. Combine all of those with the fact there’s often only very poor radio signal at Formula E tracks (because buildings get in the way) and you’ve got no way of knowing whether you can tell your drivers what to do (‘don’t hit each other’) before they do something stupid. Whether that will start being an actual problem, rather than the typical in-race chaos remains to be seen. But either way, we’re returning to the scene of the original Santiago showdown this weekend for the third round of the season, so expect more team boss migraines unrelated to the local Malbec.